With Desirable Apps, you get value for money. When you talk to Desirable Apps, you are talking direct to the developer. A lot of mobile app development companies which advertise online are actually business brokers – they don’t create mobile apps, they simply pass the work on to other companies, after taking their cut. If you have an vision for an iPhone app or Android app, let me help you realise your ambition. contact me now, so we can discuss how I can help you take your app idea to completion. Consider a more familiar example – How much does landscaping a garden cost? The answer very much depends on how big the garden is, the complexity of the design of the new landscape, how much earth needs to be moved, the type of materials selected (gravel, sand, loam), whether you supply any of the landscaping furniture, or whether the water features and gazebos and other features are part of the landscaping quote, and how quickly you want the job to be finished. Laying a few squares of flat turf on a small back garden is a very different proposition to say landscaping a new 9 hole golf course. Similarly, when developing iPhone apps and Android apps, the considerations are how many different screens your mobile app will contain, what kind of functionality each screen of the app will present, the difficulty of implementing the functions (for example, adding voice recognition is more difficult than displaying a few photos), and whether you need the app to be built very rapidly, say to coincide with the opening of a business event. With Desirable Apps, you only pay for developer time. Many app developer shops are business brokers, they pass business on to others, after taking a fee – often 100%, even 200% markup on what the developer charges! Ask us for a quote. You will very quickly see the difference. The simplest solution is to request a quote. Alternatively, if you are not ready to request a quote, please email me now, so I can answer any questions you might have about the app development process. 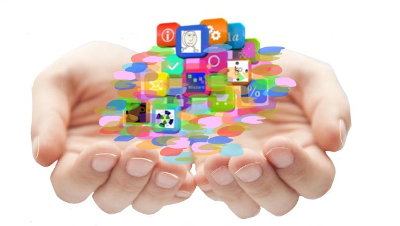 What about offshore mobile app development? We don’t use offshore developers. There is an obvious economic temptation, to source work from countries where pay rates are low – on paper the low fees some offshore developers charge look attractive. But with mobile app development, as with everything else, you tend to get what you pay for. 1. Understanding the user requirement. 3. Providing a satisfactory solution for the customer. In our experience, developing a mutual understanding of a client’s requirements requires that every nuance of the proposal be analysed in depth, to ensure there is complete coverage of the required functionality. If the person you are talking to speaks English as a second language, even if they are proficient, this can impact the clarity of communication. The other source of potential misunderstandings is cultural – the rules, the traditions of how people conduct business. In Australia, where Desirable Apps is based, the business tradition is the Western tradition. If there is a defect with a product, even if the product has already been delivered, I take responsibility for that defect. Its just the way we do business here – the way business is conducted in Western countries. In other cultures, different rules apply. If you have concerns about your mobile app project, and are not getting the clarity you need when you communicate your concerns to your current developers, contact me now.